If it is only the best toner cartridges for HP M1319 printers that you're shopping for, then it's obvious who the best choice is. We only sell toners that are compatible with your laser printer, consequently you won't need to be frightened of the cartridges resulting in any harm or even producing poor quality prints. For the total selection of toners guaranteed to be compatible with the M1319 laser printer, choose Cartridge Save! We are incredibly serious about delivering exceptional value for money and efficient customer satisfaction. Now in Cartridge Save you'll save money thanks to totally free overnight delivery as standard with every single order placed. We are really focused on efficient delivery, leading to 98% of purchases being delivered the next day. You can be assured of peace of mind when you purchase with us thanks to the cast iron money-back promise, which is standard . If you happen to encounter difficulties using your HP M1319 laser toner cartridge inside 12 months after buying just send it back to us to get your total cash back. You can place an order with certainty now at Cartridge Save. While it's not the most compact machine in the market, the HP LaserJet M1319 makes a good choice for those looking to equip an office with high demands for monochrome laser printing. 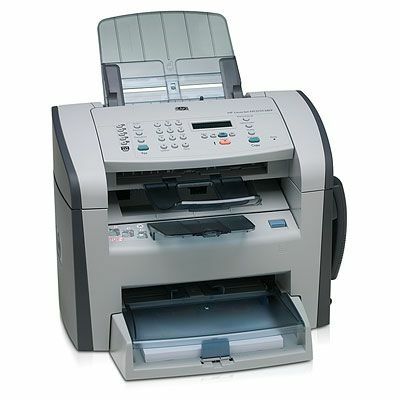 The LaserJet M1319 is a reliable laser multifunction that offers monochrome printing, full-colour scanning, copying, and fax. While the HP LaserJet M1319 multifunction printer can do full-colour scans, it does not feature a flatbed scanner, which means users can only scan, copy, and fax loose documents. The HP LaserJet M1319 printer measures about 18.1x18.4x17.3 inches. It is fairly lightweight at 22 pounds. The HP M1319 laser printer somewhat looks like a fax machine mounted on top of a tall laser printer. The low-capacity ADF unit on top makes the HP LaserJet M1319 mono laser printer even taller. It also features an intuitive control panel and a small LCD display. The top selling points of the LaserJet M1319 are its high-capacity input and output trays, and the additional multipurpose tray, along with its 24-bit scanner, which can produce up to 1200x1200 dpi images. Print quality is very good, although some banding may sometimes be visible. The maximum duty cycle for the Hewlett Packard M1319 LaserJet printer is 8,000 pages per month, making it a good choice for offices. The HP LaserJet M1319 cannot be compared with other multifunctions when it comes to speed, as it produces only 19 pages per minute. The toner cartridges used with the HP M1319 printer also don't yield as much, at 2,000-3,000 pages. The machine's design can also be improved, although the machine's multifunctionality compensates for its disadvantages.